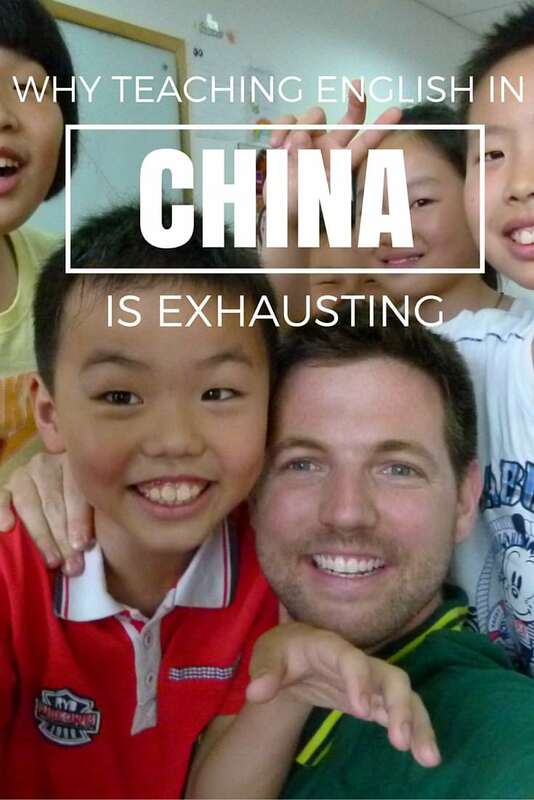 Teaching English in China: It’s Exhausting! 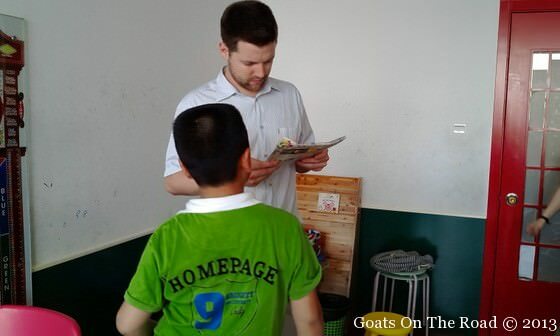 Goats on the Road Posts » Newsletter 2 » Teaching English in China: It’s Exhausting! 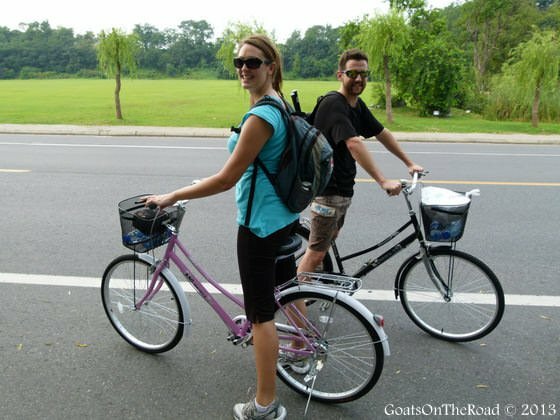 We spent a year Teaching English in China and although our friends and family back home claimed to work more hours in a week than we worked in a month, we still maintain that our teaching jobs in China were hard work! I’ve had plenty of labour intensive jobs, from working on the oil rigs in Northern Canada to running a printing press in Calgary, but none of them resulted in the same kind of fatigue. There’s no question about it, working on the oil rigs was the most physically demanding job I’ve ever had and will certainly ever have. But after a long day of teaching English in China, I was tired in a different way. Being in front of a class of 8-12 kids may sound like a piece of cake, and in comparison to many jobs, it is, but keeping a ridiculously high energy level while playing games and hollering at the top of your lungs can be very tiring…if not a bit nerve-wracking! I was somewhat lucky because I had older students to teach (Grade 1 – 7), the majority of Dariece’s classes were kindergarten! She had to be upbeat and interesting the whole time in order to keep her students’ attention. Teaching English in China to a bunch of kindergarten students is tiring! On Saturdays and Sundays we worked from 8:30 – 5:30 with 1.5 hours for lunch and another 45 minutes in breaks spread out over the work day. It may sound like a lot of breaks throughout the day but during them, we would plan the lesson for our next class. By the end of the weekend, our throats were dry and scratchy, our heads were pounding from the relentless squeal of primary children, and our bodies were dehydrated from sweating in 99% humidity – Chinese people don’t like to turn the air conditioning on, which resulted in a constant battle between the foreign teachers and the Chinese staff, students and parents! Of course, we still loved our jobs. Every day at work was fun and the kids always made us laugh with the hilarious remarks they would make. It was a great feeling to watch the students we taught go from one level to the next before finally reaching the point that they could properly communicate with us. But for all of you out there who are planning to teach English as a second language, BE WARNED! It can be the most exhausting job you’ll have. Many of our fellow colleagues and other foreign teachers at other schools in China had a different teaching method than us. Some teachers were quieter and not as upbeat and to be honest we didn’t agree with that method of teaching. The students get bored easily and in order for them to learn and have a good time, you need to engage them as much as possible. 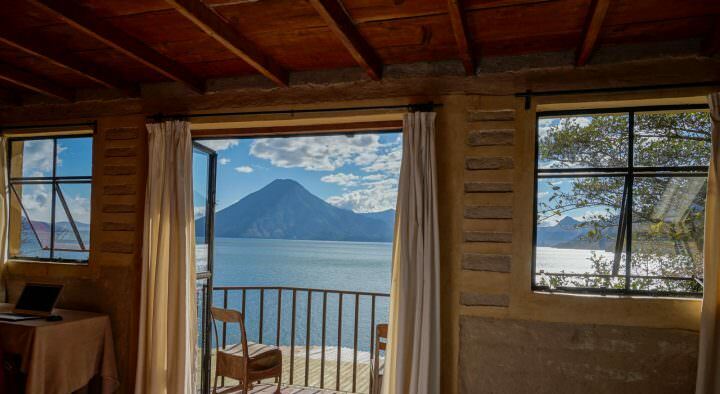 We were extremely happy to have only worked 16-20 hours per week, but I think if we had to work more than that, we would have probably lost a lot of energy and ended up teaching those “boring” classes I was talking about. This may sound like laziness to people at home who work 16 hours/day, but I’d be surprised if that same person could last 8 hours in front of a class of kindergarten or primary students! Another idea for keeping your energy levels up (and keeping a sane mind) is to teach your students to raise their hands when they have a question, rather than yelling it out. Probably the most draining aspect of the job is answering 100 questions at once. We also decided to make bookwork time silent time, which really helped to calm the students down. Kindergarten Student Ready To Ask More Questions! It’s also important to stay healthy and in shape. Working closely with 100 kids a week means that your body has to be ready for an overload of germs. When you’re a teacher, colds seem to last forever because you’re constantly irritating your throat by hollering enthusiastically at your class, which can draw out your symptoms for 3 weeks or more. We suggest taking vitamins, getting enough sleep and doing exercise while living in China, all of which will help to keep you healthy and have a sharp mind. 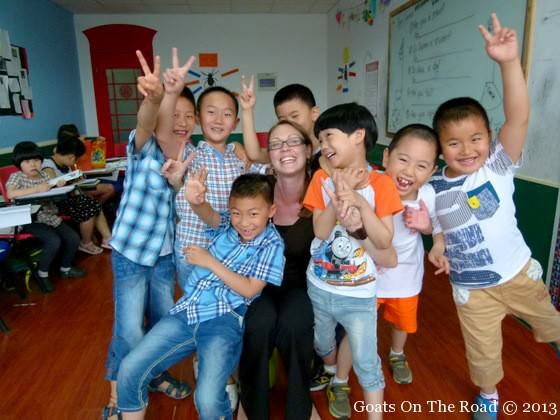 Teaching English in China is a very special experience and if you’re making a lifestyle change to be a teacher instead of working in a factory or in a cubicle, you’ll never regret it. 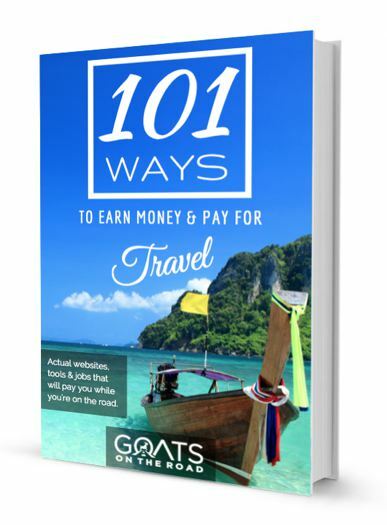 It’s the ideal job for travellers and it makes every day an adventure. Just being in a new country is an amazing feeling, and being able to teach English to eager children is just icing on the cake. Are you a teacher or planning to be one? Tell us your experiences or ask us questions in the comment box below! Amen to that! I haven’t taught in China, but I have taught students of the same age (in Spain, where I’m quite convinced they don’t know the meaning of ‘quiet’!) and it’s bloody knackering! I completely agree, though, that not giving them all your energy is a waste of time, because they will be bored and won’t learn anything, so if you don’t think you can do that (and I honestly don’t think I could’ve done it for more than the three months I did in Spain), try to get a job teaching older students or adults. Glad to hear someone else can relate to how we felt. After teaching for a year, we were both so tired! haha. Great suggestion to teach older students or adults. One of my classes was aged 13-16 and it was much calmer/quieter….but then I had to deal with “attitudes”, trying to make learning “cool” and somehow keep control of the class without treating them like babies! Such a lovely article! Your job may be exhaustive but you get to spend so much time with those angels. How mischievously adorable do they look!! I am just back from China and I know how they (the adults) shake their hands and head if they see a non-Chinese approaching them for help. They are way too scared of visitors asking them questions in English. OMG. 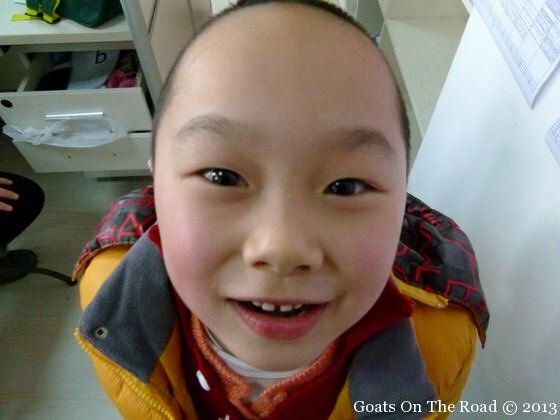 So the next time I’m in China, I may seek help from these kids here and I’ll make sure to come back here and thank YOU! When we were travelling in China we found that even though no one spoke English (apart from the students we taught 🙂 ), they still tried to help us out and would even reply to our questions in Mandarin! haha. Too funny. 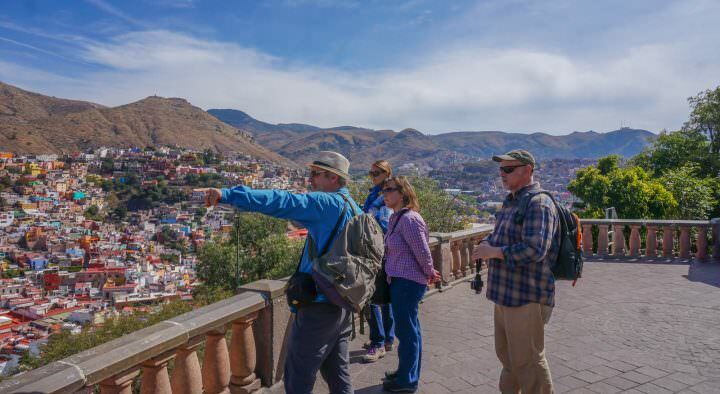 You’re right though, this is one country where not a whole lot of English is spoken by the locals…which is why it’s so fun and interesting to travel through. In terms of the TEFL or TESOL course, is there a specific institution you recommend? Haha, I’ve been teaching in China for a few months and it was definitely surprising how much my kindergarten class can wear me out. They do take a pretty high energy level. Its crazy how tired I get after doing so little! Where in China are you teaching? My neighbors son is in China now teaching English. I forget the name of the town that he’s in. They are getting ready to go over and visit him. I think it’s a great experience for anyone who’s willing to scarify the time to teach the kids and experience a new culture. Officially, you must be a native English speaker with a passport from an English speaking country. However, we know of non-native speakers who are teaching in China, so it is possible! I am responding to your site offering assistance to arrange a teaching contract in Yangzhou. I have just completed the TEFL course. I have a commerce degree and have been accepted for a PGCE course (UK teaching qualification) for the October 2016 intake. I would like to teach English in China for 6 months and would like to start as soon as possible as I need to be back in the UK to commence my studies in October. I traveled through China during my gap year and loved the experience. Can you assist to arrange a teaching contract? 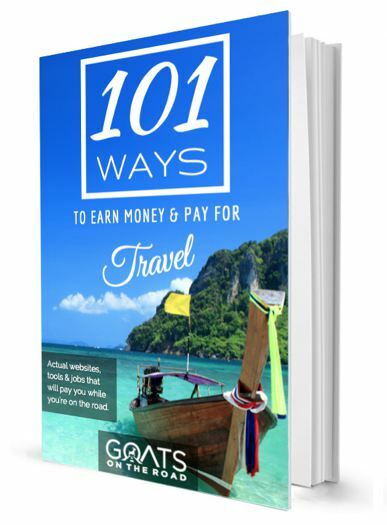 Please send us an email with your resume, TEFL, degree and copy of your passport to nick(at)goatsontheroad(dot)com. Thank you! I really enjoy following your travels. Do all of the schools have the age limit at 45? I just turned 45 and was planning on pursuing this as my next career/ lifestyle. I have a teaching credential with ESL certification, but was also going to take an additional TEFL or TESOL course. Are there any exception or other jobs available for my situation? Yes, many schools will make exceptions for sure. Don’t give up! I liked reading what you said about the boring teachers in China who teach with less energy. I kind of want to be those teachers! But overall, I just want to get to China and teach with adventure. I taught in 2009 for a few weeks and got used to the regimen. When I started, the Chinese admin assistant said, “make it lovely.” I’m a low-key person, but I like what invigorating teachers do with students. I was a sub teacher for 12 years in Milwaukee and I even taught super pre-K kindergarten, the whole spectrum. A big worry going back to the teaching abroad world is getting my energy sapped. I’m mindful of putting in a full effort with professionalism. My girlfriend and I teach English to Chinese students online- even that is exhausting!! But it is so rewarding and fun 😀 We want to teach in China one day as well, so thanks for all your posts about teaching! You show how tiring it can be but not in a way that puts you off teaching those beautiful minds as you provide ways to conserve your enjoy and too point out how rewarding it can be if you fully immerse yourself in it and the experience it affords you.